Witness Lee was born in China in 1905. He moved to the United States in 1962. Lee claimed to be an apostle who was leading and fulfilling “The Lord’s Recovery” of the church prophesied in books of the Old Testament like Nehemiah. He established the “Local Churches” by teaching that there should only be one church per city and to call a church anything other than “The Church in [Anaheim]” is fornication with the whore of Babylon. The Christian Research Institute condemned Lee’s teachings in the late 70s. In 1977 E. Calvin Beisner co-authored an article for CRI The Teachings of Witness Lee and the Local Church. You can hear a lecture by Walter Martin (the original Bible Answer Man who founded CRI in 1960) delivered sometime in the 70s here http://server.firefighters.org/18000/18110.mp3 where he clearly lays out the heresies of Witness Lee and the Local Churches. There was also an open letter published online several years ago An Open Letter To the Leadership of Living Stream Ministry and the “Local Churches” signed by numerous apologists and Christian theologians. In late 2009, the Christian Research Institute (which is now headed by Hank Hanegraff, who is plagued with controversy and criticism and whose proper succession to Martin at CRI is disputed) published a special issue of the Christian Research Journal simply titled “We Were Wrong.” The whole issue is an apology to the Local Churches and an explanation of how CRI was wrong and how the LC are actually “soundly orthodox.” Norm Geisler and Ron Rhodes wrote a response to the CRI piece http://www.open-letter.org/pdf/Geisler_Rhodes_Response_to_CRI.pdf to which Hank Hanegraaff subsequently wrote a response in the latest issue of CRJ. Members of the Local Churches, also known as Living Stream Ministries, are very active on college campuses. A friend of mine ran into them several times at Cal State Fullerton. She went to one of their meetings and eventually had a few of the members meet with her, myself, my wife, and another friend of ours several times over the last few months to hear them explain their beliefs. The goal was to understand what they believe and then determine if they were a Christian group or not. Much of what you may find online for and against the group can perhaps be a bit confusing and maybe even a little abstract. My friend considered the possibility that it may all be the result of a language barrier between us and Lee’s original writings. However, these meetings, along with further study of their writings, have made it very, very clear what these people believe – and it is not Christian at all. I’m writing this to give you an overview of what exactly the group teaches and how it is heretical. My goal is to teach you what the LSM Statement of Faith should teach you, if they were honest. I have not come across anything that summarizes the issue in this way, so I hope this may be of help rather than just spilling more ink on what has already been said. Gordon Clark : What is Saving Faith? When a group like LSM uses biblical language and biblical imagery, it can be difficult to discern the error because when you read what they write, you think they mean one thing, but they actually mean something else completely. Thus things became clear to me when I was able see the negations made by LSM. This is the error of Hank Hanegraaff and those who are defending Lee and LSM. Rather than looking at the contrast, they have devoted all their effort to finding similarities. But what Lee and LSM believe becomes clear when they say what they do not believe. Thus this post will teach by way of contrast. Much of the debate about Witness Lee’s teaching is focused on his view of the Trinity, so I won’t spend a lot of time discussing it. I encourage you to read Besiner’s article and Geisler’s article above. Look closely. Notice that it doesn’t say what the three are as “distinct”? What are the Father, the Son, and the Spirit? Cabbages? Angels? Compact discs? Extensive reading in Witness Lee’s writings discovers considerable hesitation to affirm what Christianity has affirmed through the ages: that the Father, the Son, and the Spirit, though they are one God, are distinct Persons. The Father, the Son, and the Spirit are not three separate persons or three Gods; they are one God, one reality, one person… God is triune; that is, He is three-one. In some theological writings, the preposition in is added between three and one to make three-in-one. However, it is more accurate to say that God is three-one. These quotes are both found in the Open Letter. The people I met with gave me a binder full of Lee’s writings that corresponded to the quotes in the Open Letter. Their intent was to show me the whole context of the quotes. I’m not certain what they thought that would prove however, since none of the quotes were taken out of context. The context only worsened what Lee was communicating. the three persons not confused, but distinct, and yet not separate, but of the same essence, equal in eternity and power. I shouldn’t even have to provide these examples as proof. Witness Lee already clarified himself that his view was different from the traditional view and that it was not Nicene. No orthodox statement of the Trinity ever says “not separate” means the Son is the Father and the Son is the Spirit. So again, the Local Church uses biblical and traditional language, but mean something entirely different by it. But my purpose here is not to address each issue in depth, but rather to show how each issue works together to create a false gospel. I encourage you to read the Open Letter, as well as Beisner’s and Geisler’s articles to understand more. The “operational [economic] Trinity” is, at best, only a way of speaking about the one and only essential Trinity’s activities, not His essential Being. But even here when one member of the Trinity acts in the world, He is still distinct from the other members, even if they are co-acting with Him. For example, when co-authors such as ourselves mingle our minds and act together by co-authoring the same thoughts and words in the same book, we are still in this action two different persons. And no such co-action justifies anyone calling Ron “Norm,” or calling Norm “Ron.” We are two really distinct persons with different names. The Bible reveals that God is immutable in His essence and that God has been processed in His economy. As the processed God, the Triune God has passed through crucial and interdependent steps in the divine economy in order to dispense Himself into His chosen and redeemed people…God’s process ultimately is related to becoming flesh through incarnation and becoming the life giving Spirit through resurrection. “the Christ in whom we believe is the center of the Triune God.” Because of this, “the Triune God became mingled with man… He is not only the Triune God, but also a man… He is the Triune God mingled with man. Therefore, He is the Triune God-man. Second in this process is Jesus, the Triune God-man becoming the Spirit. …When Jesus was glorified in resurrection, a change took place economically, not essentially, in the Spirit of God. The Spirit of God, who is the eternal Spirit, became the life-giving Spirit, the Spirit of the glorified Jesus. …The Gospel of John is also the autobiography and history of the “journeying” Triune God, and the destination of the journeying Triune God is the human spirit of His chosen and redeemed people. The word journeying describes the Triune God in His economical move and work to accomplish His eternal plan (see God’s Eternal Plan section below). …This process can be summed up in three words: the Word, the flesh, and the breath. The Word is God, the flesh is man, and the breath is the Spirit. The Word became flesh, and the flesh became the breath to be breathed into man to make him a regenerated man of God with the breath of God. The Word became flesh, and the last Adam became a life-giving Spirit. These two great “becomings” were the major processes of the journeying Triune God in His move in man to accomplish His plan (again, see below). …The move of the processed God is centered on man. Whereas the Old Testament reveals God’s indirect move with man, the New Testament reveals God’s direct move in man. God’s move with man in the Old Testament was a typological preparation for His ultimate move in man in the reality of the New Testament. God’s move in man is to deify man, making man the same as He is in life, nature, and appearance but not in the Godhead for the glory of God, the expression of God. Perhaps your ears perked up in what you just read about the deification of man. Man, according to Lee and LSM, is a tri-partite being made up of the body, the soul, and the spirit. Far from being a sideline theological debate between dichotomy and trichotomy, this is central to their faith. It is illustrated and emphasized in the introductory literature they hand out on campuses. The spirit is a unique element within man. It was described to me as a baseball glove waiting to hold God’s life in it. The man created in God’s image was merely an empty vessel. He could not express and represent God because he did not possess God’s divine life. …The function of the human spirit is to contact God. Our spirit was made by God for the purpose that one day we would exercise it to contact Him and receive Him into our being. As a consequence of the Fall, man is dead in his sin, has a heart of stone, and is in rebellion against God. So God removes the sinful heart of stone and replaces it with a heart of flesh that is no longer in rebellion. That is regeneration. God’s purpose is that we may obtain His own uncreated life and be transformed by this life into His image to be like Him. Even if our human life had not been corrupted by the fall of man in Genesis 3, we would still need to be regenerated. In Genesis 1 and 2, Adam was without sin, yet he was void of God’s life. Thus, God placed him before the tree of life that he might receive the life of God and be regenerated. God’s purpose in creating man is not merely to obtain a sinless man, but even more to have a God-man, one who has God’s own life and nature. The Lord Jesus was very wise in using Nicodemus as the example of regeneration. If He had used the sinful woman in John 4 as the example, we might conclude that only sinful people need to be born again… the Lord revealed that regardless of how good we are, we still need regeneration. Regeneration is the primary need of man. Moral people, as well as immoral people, need to be regenerated. Some Christians hold the mistaken concept that people need regeneration simply because they are sinful and fallen. However, if Adam had never fallen into sin, he still would have needed regeneration because he was lacking the life of God. …Since we are human beings, we all have human life. The question is not whether our human life is good or bad. Regardless of the kind of human life we have, as long as we do not have the divine life, we need to be regenerated. To be regenerated simply means to receive the divine life in addition to our human life. God’s eternal purpose is for man to be a vessel to contain the divine life. We are earthen vessels to contain God as life (2 Cor. 4:7). This is the true meaning of regeneration. Lee and LSM mean something utterly different than Christians do when they talk about regeneration. For them, it is the process by which we are deified. The entire Triune God enters into our spirit and we become a new creation. No longer human, we are now God-men. …A seed is a container of life. The word of God as the incorruptible seed contains God’s life… God is mysterious and abstract, and for this reason it is difficult for us to receive Him. But the abstract, mysterious God is embodied in the word, which has been preached to us. When we heard the word and received it, we received God, who is embodied in the word. The embodiment of God in the word is the very seed of life sown into our being for our regeneration. So the word of God is like a pill – something that makes the abstract, mysterious God digestible for us. It contains God in a digestible form. This happens through preaching. At this point we have become God-men, just like Christ. Although the incarnate Christ was the Son of God by virtue of His divinity (Matt. 16:16), His humanity, that is, His human flesh, was not the Son of God—for, though sinless, it did not have divinity. To bring Christ’s human nature into the divine sonship, God begot Christ in His humanity by imparting the divine life into His humanity in His resurrection. In the same way that God begot Christ in resurrection, God has regenerated us to be His many sons (1 Pet. 1:3; Heb. 2:10). We are literally the reproduction, the actual offspring of the Triune God. We are sons of God by birth. Man cannot be God in His Godhead, but he can be God in His life and nature. We are what we are born of. Anything born of a dog is a dog. Likewise, if we were born of a monkey, we would surely be a monkey. God created man not according to a monkey’s kind or a dog’s kind, but according to His kind, in His image and according to His likeness. Furthermore, the Bible tells us that the believers in Christ are God’s children (John 1:12-13; 1 John 3:1-2). The children of a man are also men. Because we are children of God, we are God in nature and in life, but not in the Godhead, that is, not in God’s position or rank. (The Organic Union in God’s Relationship with Man, 27). The goal of God’s salvation in the divine life is to build up the believers into the Body of Christ, the corporate and organic expression of Christ. We maintain that the Body of Christ is not simply some apt metaphor for the unity of the believers in the church but the spiritual and intrinsic reality of the church (Eph. 1:22-23)—a divine-human organism that encompasses Christ, the firstborn Son, as the Head and the many believers, the many sons of God, as the members of the Body (Rom. 12:4-5; 1 Cor. 12:12, 27). Because we are sons of God by birth, we are not sons of God by adoption. No one adopts their natural born children. When we were born of our parents, we obtained human life. When we were born of God, we obtained God’s divine life… When we have the life of God, we are the sons of God. The life of God gives us the right and authority to become the children of God (John 1:12)… Since regeneration means to be born of God, it automatically causes us to become the children of God (John 1:12-13). We are His children and He is our Father. The divine life we receive through regeneration is our authority to be His children. [Sproul] writes that “Jesus is God’s only natural Son. All others enter His family through adoption in Christ” (110). Such a statement directly contradicts the revelation of the holy Scriptures, which tell us in unmistakable terms that we as believers have actually been born of God and are consequently His actual progeny. This came out in one of our meetings. The LSM members became very passionate as they told us how Christians have completely misunderstood what the Bible says about adoption. They explained at length the argument above, telling me I would not adopt my son when he was born because he was my son. When I asked them if they then denied the legal aspect of adoption they said “Oh, no, absolutely not. We completely affirm the legal aspect.” I was thoroughly confused and had no idea how they could “completely affirm” what they were spending our whole time arguing against: adoption. After I got home I did some reading and found out that I was very misled by these people. They do not affirm legal adoption at all. They actually argue that “adoption” is a mistranslation of uiJoqesiva, claiming it means “sonship” instead. They have absolutely no legitimate reason to do so based on the Greek meaning of the word, but insist that the Greek meaning simply does not fit with their understanding of regeneration, so it must mean something else. The language of regeneration in the Bible, being drawn from the natural realm of birth and growth, indicates that regeneration is a birth, not just a judicial procedure of adoption. To translate the term uiJoqesiva adoption (according to its non-biblical Greek use) rather than sonship (having the place and quality of a son) is misleading and inconsistent with the language of regeneration and the ability of God to impart His life into those whom He has created in His own image. Hopefully you can begin to see how all of these things work together in a chain, a system. Because Lee and LSM so passionately dispute the Christian’s legal adoption into God’s family, we must see how they view a Christian’s forensic, legal justification. “Through justification we have come up to the standard of God’s righteousness and correspond with it, so that now He can impart His life to us” (Recovery Version, Rom. 5:18, note 2). Lee and LSM strongly reject what you just heard. It is not accurate to say, as Lutheran and Reformed writers usually do, that the righteousness of Christ is reckoned to our account. We do not have something called “the righteousness of Christ”; rather, as those who have entered into an organic union with the Lord by believing into Him, we have Christ Himself, the person, as our righteousness. …We would emphasize the fact that to believe in Christ is actually to believe into Him (John 3:15-16, 18, 36). When we believe in the Lord Jesus, we believe into Him. By believing into Him, we enter into Him to be one with Him, to partake of Him, and to participate in all that He has accomplished for us… Faith in Christ brings us into an organic union with Christ, and it is in this union that we are justified by God. If we would be justified by grace, by faith, and through the redemption which is in Christ, we must be in Christ, that is, we must be in Him as a realm, a sphere… To be justified by God, we not only must believe Him or believe in Him—we must be in Him as the One who was resurrected to be our Savior… justification is not only a matter of faith in Christ but also of being in Christ through believing into Him. To clarify, they say that faith/believing is not an intellectual act of our mind/heart/soul with Christ as the object of our faith. No, instead, they say that Christ is our faith. It is by means of our organic union with Christ that God can reckon Christ as our righteousness… We should not have a mere doctrinal understanding of justification by faith. According to the concept of some Christians, Christ is the just One, the righteous One, on the throne in the presence of God, and God reckons Christ to be our righteousness when we believe into Christ. This understanding of justification is not adequate. …it is not unreasonable to say that faith is Christ. This is like saying that holiness, love, righteousness, patience, and endurance are Christ. Because the unique faith is Christ Himself, we who believe into Him have a common faith… The faith with which we believe is not ours but God’s. When the pneumatic Christ was revealed in us through the preaching of the gospel, He became the believing element and ability within us. It is my intention here, against the background of the classic forms of the doctrine thus far reviewed, to present a view of justification that respects the outlook of this journal, an organic view of God and His work in humankind… there is undeniably some dissatisfaction with the models of justification that have gone before, and these compel further consideration and refinement. In what follows, the studied reader will not find a wealth of innovation, except perhaps in the definition of faith, but instead a reapplication of a number of notions previously presented. Luther will echo [though they misinterpret Luther], as will also Trent [Roman Catholicism], and Osiander will come alive again, hopefully with some needed correction. Who will not be heard, in their most austere and radical forms, are Melanchthon and Calvin, and this, I hope, will not disappoint too many… Protestant justification, in the strident forensic form that Melanchthon and Calvin pressed on their followers, is in many respects like the emperor’s new clothes, which, even a child can see, leaves much to be desired for covering and propriety. So they are clear that they are rejecting the Protestant (Christian) doctrine of justification and replacing it with a new doctrine of justification that implements their heretical view of God and mankind. Recall the video above. R. C. Sproul makes it clear that the debate of the Reformation was imputation vs. infusion. The Reformers argued that we are justified by the alien rightouesness of Christ imputed to us. It is something outside of us that is credited to our account (imputed). Rome, on the other hand, rejecting this idea and said righteousness is infused into our hearts, making us actually righteous. LSM attempts to form a hybrid between these views, using their newly invented (and absurd) definition of faith: infusion imputed. We must say here, above the objections of the Protestants, that God infuses something into us for our justification, that is, the faith that justifies us. But for this we must understand the preaching to be something more than the simple delivery of gospel truths… It is important to realize that the faith infused into us through the gospel is not something different from Christ Himself; it is not some emanation from God into us. Rather, the Christ who is preached to us is infused into us through the word of the gospel. Faith is not merely a mental comprehension of the things preached but the apprehended reality of what is preached; it is the actual token of the things we believe. Our believing in Him, initiated through the preaching and helped by His infusion within us, is indeed righteous because it is the first and only response within us that matches the real state of affairs with regard to the righteousness of God… for the first time in our lives there is a righteous and justifiable response within us… Contrary to the harsher forms of Reformation justification, this justification is real because it is indeed within the believer. Luther described Christ’s righteousness as something imputed to the believers for their justification, and this need not be rejected… the righteousness that He is, is imputed to us, not simply through some judicial transfer of merit but more profoundly on the basis of an organic union and the certainty of what that union will ultimately do within us… Because our justification, even in this initial, objective aspect, is not based on a righteousness that is external or alien to us, there is no need to speak of a forensic notion of justification, that is, the notion that God justifies us without any regard for what is within us… This objective justification is actual because there is righteousness within us, indeed the righteousness of the God-man in both His divine and human natures, and our union with Him allows us to possess His righteousness for our justification. In this sense, God justifies our organic union with Christ. Our initial justification does not require a forensic judgment on God’s part because it is based on an actual reality within us. Further, our justification is not hollow or a mere “accounting trick,” because while being based certainly and solely on the accomplishments of Christ for our redemption, it also looks forward to what Christ will do within us as we grow in His life, are transformed, and are ultimately glorified. Objective justification is actual because there is righteousness within us, indeed the righteousness of the God-man in both His divine and human natures, and our union with Him admits us into His righteousness for our justification. In this sense, God justifies our organic union with Christ. Objective justification is not forensic in the sense that it is based on a righteousness that is external or alien to us and is externally imputed to us by God without regard for any righteousness within us. With one single word, LSM has denied the gospel. They have given a very clear definition of the gospel, and then entirely negated it with the word “not”. In summary, LSM describes how their doctrine of justification fits in with their belief that God’s ultimate purpose in all things is to express Himself through G0d-men. In the final analysis, justification is the great act of God to make us like Himself in the matter of righteousness… It is not God’s intention to simply justify us on a juridical level, to get us “legal,” so to speak; His intention is to gain in us a degree of righteousness that expresses who He is, so that He may be glorified in His righteousness through us. …Why does God justify?… [A] profound desire that we become what He is in righteousness so that He may be expressed in all that He is. Justification, based on who He is and because of our living out of Him, proves to be the aspect of salvation as deification relative to His exquisite attribute of righteousness. So God uses man, an empty vessel, to process Himself into God-men, in order to express His righteousness through us. It is true that the Bible describes man as a vessel of God’s attributes – but not righteousness. Has the potter no right over the clay, to make out of the same lump one vessel for honorable use and another for dishonorable use? What if God, desiring to show his wrath and to make known his power, has endured with much patience vessels of wrath prepared for destruction, in order to make known the riches of his glory for vessels of mercy, which he has prepared beforehand for glory (Romans 9:21-23). We are not vessels of God’s righteousness, but of His mercy! Doubtless God rejoiced over becoming a man, for only this God-man could accomplish the redemption of God’s fallen creatures… Yet, more significantly, in view of God’s eternal purpose — formed long before the fall of man – God delighted in becoming a man to establish a prototypical God-man — a man who lives God for the expression of God in humanity. From the manger to the cross, Christ, the first God-man, unceasingly manifested God in His human living as the prototype for His believers, the many God-men, His mass reproduction (John 5:19; 6:57; 14:10). …Pleasures neglects the crucial place humanity occupies in God’s eternal purpose. Though correctly underscoring God’s pleasure in His Son as the reflection of His perfections, the book falls short of underlining God’s pleasure in humanity as the means of His manifestation… with regard to His eternal economy to enlarge His expression through creation, God longs to reproduce His Son in humanity as His enlarged corporate manifestation. …From the creation of humanity to the culmination of the New Jerusalem, the entire Bible abounds with intimations that God’s thought is focused and His heart is set upon humanity, for it is humanity that fulfills God’s heart’s desire for His corporate duplication and expression. A thorough re-alignment of thought must take place in the Christian community concerning the definition and thus the experience of the salvation that God has prepared for us. Some of Lee and LSM’s favorite verses to quote to try to prove their heretical view of the Trinity (that the Son is Father) are John 10:30 “I and the Father are one” and John 14:10-11 “I am in the Father and the Father is in me.” Now, a valid objection to this false interpretation, and one that I raised, is that John 17:11 says that the Body of Christ is one in the same way that the Father and Son are one – so Jesus must be referring to something else – namely, unity of mind. But some an objection does not phase LSM, because they believe that just as the Son is the Father, so also the Body of Christ is the Father. The Son prayed that that those who believed through the preaching would be one, but He refined this oneness by making it equivalent to being in Him and the Father. He desired not just that we would believe the precious word of the gospel but that we would be made one through it, and this oneness is not simply a oneness of belief nor a oneness among the believers themselves but is more deeply a oneness that results from the believers being in the Father and the Son. Characterized in this way, this oneness that enlarges is the oneness that already exists between the Father and the Son. The Son prays that in the same way that the Father and the Son incorporate one another (“even as You, Father, are in Me and I in You”), the believers would also be incorporated into them (“that they also may be in Us”). Thus, this oneness is the enlargement of the divine and eternal incorporation to now include the believers and may be rightly called the divine-human incorporation (“I in them, and You in Me”). …The Jesus of John, as we have seen, is not simply a man who happens to be God but God incarnate having a particular kind of human living that incorporates the entire Divine Trinity and who ultimately brings His believers into that same incorporate living. And here, ladies and gentlemen, we reach the Grand Finale of Witness Lee’s false gospel: the Processed, Four-in-One God. Ultimately, the church is a group of people who are in union with the Triune God and are mingled with the Triune God. The Triune God and the church are four-in-one. Because the Father, the Son, and the Spirit are all one with the Body of Christ, we may say that the Triune God is now the “four-in-one God.” These four are the Father, the Son, the Spirit, and the Body. Because the believers are incorporated into Him, He as the heavenly ladder serves as the personal bridge to the Triune God, incorporating in Himself the Divine Trinity and the believers. This is the very center of the universe, for in Him God and man are joined together, and the ministrations of God are focused on Him as this heavenly bridge. Within Himself He incorporates the unique enterprise of God’s economy, that is, the Triune God operating through Him by the Spirit in the believers for the manifestation and expression of God the Father on the earth. …In this way the believers become the reproduction, expansion, and physical continuation of the incarnate and incorporate Son of God and indeed the organism of the Triune God Himself. The salvation of God is not primarily to save us from hell and to bring us into heaven, but rather to impart His divine life into us. By regeneration, we receive His divine life into our spirit. From our spirit, He is spreading into our soul by the process of transformation, and at His second coming, He will even saturate our body. New Jerusalem is actually a corporate person who includes the processed and consummated Triune God and, as the issue of God’s complete salvation, all the chosen, redeemed, regenerated, sanctified, renewed, transformed, built-up believers in Christ. 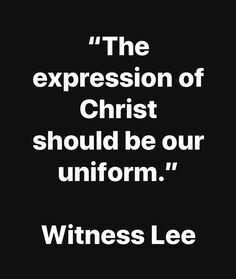 Witness Lee taught a false gospel and Living Stream Ministries continues to propagate that false gospel throughout the world. They have successfully stopped many publishers from exposing them by bankrupting them in lawsuits. Perhaps in fear of facing such bankruptcy, Hank Hanegraaff led CRI on a multi-year journey to defend their teaching. If Hanegraaff and the others involved at CRI honestly believe that Witness Lee and Living Stream Ministries teach “sound orthodoxy” then they are just as damned as Lee. Update: Listen to this account of Hank’s experience with LC/LSM given by Minoru. Lee’s thinking was very close to that of the late Reformed theologian Cornelius Van Til on this point, and although Van Til has been criticized for his view, no one that I am aware of has charged him with heresy. In his approach, he begins to probe the seminal importance of Paul’s economical description of Christ – the last Adam, the life-giving Spirit. Professor Gaffin forcefully addresses the hesitation within evangelical circles to engage Paul’s utterance by arguing that 1 Corinthians 15:45 is at the center of Paul’s pnuematology. He confronts the theological concerns that inform this hesitation by identifying the life-giving Spirit with the Holy Spirit… Gaffin points out that the principal concern is a reluctance to identify the life-giving Spirit with the Holy Spirit. The underlying base of this concern, however, goes much deeper because it seemingly places proponents of this identification at odds with orthodox understandings of both the Trinity and Christology, including Paul himself. Consequently, his utterance is often diluted, rationalized, or ignored. Gaffin, however, does not ignore this verse. In contrast, men like John Robbins who have clearly and sternly proclaimed the gospel in the face of its deviations cannot be looked to for support by LSM. No, instead Robbins’ proclamation forces them to confront the biblical gospel. For example, see their defense of Gaffin and attempted refutation of Robbins’. May we all learn to stand firm in the face of opposition and clearly differentiate the gospel from its deviations the way that John Robbins did. I appreciate all comments from anyone who desires to interact with what I have written here. However, all comments that are not directly related to what I have written will not be approved. The Combox is not a place for you to share your personal opinions and experiences that do not interact with what I have written. I was browsing Monergism.com today and saw a new link to the works of John Owen in PDF. They are also available in EPUB and Kindle formats. Enjoy! Dr. C. Matthew McMahon, owner of APuritansMind.com and PuritanBoard.com has an article on his website titled John Owen and the Covenant of Redemption. It is often the case through church history that people want to “own” the foremost theologians of the church in their system of theology; our day is no different… Owen, though he is dead, still needs to be rescued from those who obscure his theological views surrounding Covenant Theology… There is a wave of theological error purporting that the New Covenant, or Covenant of Grace fully expressed in the New Testament, was a “brand new,” or as some parrot Hebrews, “better” covenant, but translate this theologically as “wholly different.”…consideration should taken to rightly exemplify Owen’s position in any theological writing on the covenants. It would be correct, in Owen’s mind, to say that salvation is coextensive for the elect in the Covenant of Grace by the blessings imparted by the Covenant of Redemption. But, it would also be correct, in Owen’s mind, to say that salvation is not coextensive in the Covenant of Grace for those who are not elect, that is why Owen had no problem admitting infants in the Covenant of Grace in any administration of it. McMahon jumps all over the prolific work of Owen. He quotes from numerous different writings as it fits his argument. The problem is that McMahon fails to account for growth/change in Owen’s thought over the 40 years that he wrote. Therefore what Owen may have said in one place is not necessarily consistent with what he may have said later or earlier in his life. Jeffrey D. Johnson in his recent book The Fatal Flaw in the Theology Behind Infant Baptism notes this change when specifically comparing Owen’s work “Biblical Theology” with his Hebrews commentary. McMahon very blatantly and inexcusably misreads Owen’s commentary on Hebrews, his most mature stating of his views on the subject. 1. That by the old covenant, the original covenant of works, made with Adam and all mankind in him, is not intended; for this is undoubtedly a covenant different in its essence and substance from the new. [[[2. By the new covenant, not the new covenant absolutely and originally, as given in the first promise, is intended; but in its complete gospel administration, when it was actually established by the death of Christ, as administered in and by the ordinances of the new testament. This, with the covenant of Sinai, were, as most say, but different administrations of the same covenant.]]] This latter being the point to be examined. So Owen states that the precise point of this part of his commentary is to decide if the old and the new are two different covenants, or just two different administrations of the same covenant. He starts by summarizing the One Covenant View. This summary is what McMahon erroneously claims is Owen stating his own view. So then which view does Owen side with? …5. Wherefore we must grant two distinct covenants, rather than merely a twofold administration of the same covenant, to be intended. We must do so, provided always that the way of reconciliation and salvation was the same under both. But it will be said, —and with great pretence of reason, for it is the sole foundation of all who allow only a twofold administration of the same covenant, —’That this being the principal end of a divine covenant, if the way of reconciliation and salvation is the same under both, then indeed they are the same for the substance of them is but one.’ And I grant that this would inevitably follow, if it were so equally by virtue of them both. If reconciliation and salvation by Christ were to be obtained not only under the old covenant, but by virtue of it, then it must be the same for substance with the new. But this is not so; for no reconciliation with God nor salvation could be obtained by virtue of the old covenant, or the administration of it, as our apostle disputes at large, though all believers were reconciled, justified, and saved, by virtue of the promise, while they were under the old covenant. Could Owen be any clearer? I don’t think so. McMahon misunderstands every quotation he supplies from Owen’s commentary on Hebrews 8. I honestly do not know how McMahon could so severely blunder his reading of Owen. It seems the only options are he intentionally misrepresents Owen, or he read Owen’s commentary so quickly as to not read what Owen actually said. I know he is a very busy person, and I don’t want to charge McMahon with the former, so it must have been the latter. Either way, it makes him an unreliable guide on this matter. This error alone renders McMahon’s entire essay faulty. In keeping with this error, McMahon says “After stating that the new is not ‘brand new’, Owen describes how the new is different than the old” and then goes on to list 5 points of difference. The problem is that McMahon is once again quoting Owen’s summary of the reformed view! He is listing the 5 ways in which the reformed divines say there is a difference. Owen saves his view of the differences for later when he lists 17 particular differences! “Do This And Live” Foundation for All Covenants? This is a very serious misreading of Owen. (The same misreading is found in this essay by Anglican Priest Steve Griffith http://www.johnowen.org/media/griffiths_owen_federal_theology.pdf. It appears that the misreading of both of these authors may have its roots in Sinclair Ferguson, but I don’t have a copy of his book to compare.) McMahon argues that Owen is teaching that the Covenant of Grace is the same covenant for substance and essence as the Covenant of Works! McMahon claims that the substance of the Covenant of Grace is “Do this, and live.” But is that what Owen actually said? 1. That by the two covenants I understand those which were absolutely given unto the whole church, and were all to bring it “eis teleioteta”,–unto a complete and perfect state; that is, the covenant of works, or the law of our creation as it was given unto us, with promises and threatening, or rewards and punishments, annexed unto it; and the covenant of grace, revealed and proposed in the first promise. As unto the covenant of Sinai, and the new testament as actually confirmed in the death of Christ, with all the spiritual privileges thence emerging, and the differences between them, they belong not unto our present argument. 2. The whole entire nature of the covenant of works consisted in this,–that upon our personal obedience, according unto the law and rule of it, we should be accepted with God, and rewarded with him. Herein the essence of it did consist; and whatever covenant proceeds on these terms, or has the nature of them in it, however it may be varied with additions or alterations, is the same covenant still, and not another. As in the renovation of the promise wherein the essence of the covenant of grace was contained, God did ofttimes make other additions unto it (as unto Abraham and David), yet was it still the same covenant for the substance of it, and not another; so whatever variations may be made in, or additions unto, the dispensation of the first covenant, so long as this rule is retained, “Do this, and live,” it is still the same covenant for the substance and essence of it. 3. Hence two things belonged unto this covenant:–First, That all things were transacted immediately between God and man. There was no mediator in it, no one to undertake any thing, either on the part of God or man, between them; for the whole depending on every one’s personal obedience, there was no place for a mediator. Secondly, That nothing but perfect, sinless obedience would be accepted with God, or preserve the covenant in its primitive state and condition. There was nothing in it as to pardon of sin, no provision for any defect in personal obedience. 4. Wherefore, this covenant being once established between God and man, there could be no new covenant made, unless the essential form of it were of another nature,–namely, that our own personal obedience be not the rule and cause of our acceptation and justification before God; for whilst this is so, as was before observed, the covenant is still the same, however the dispensation of it may be reformed or reduced to suit unto our present state and condition. What grace soever might be introduced into it, that could not be so which excluded all works from being the cause of our justification. But if a new covenant be made, such grace must be provided as is absolutely inconsistent with any works of ours, as unto the first ends of the covenant; as the apostle declares, Rom.11:6. 5. Wherefore, the covenant of grace, supposing it a new, real, absolute covenant, and not a reformation of the dispensation of the old, or a reduction of it unto the use of our present condition (as some imagine it to be), must differ, in the essence, substance, and nature of it, from that first covenant of works. And this it cannot do if we are to be justified before God on our personal obedience; wherein the essence of the first covenant consisted. If, then, the righteousness wherewith we are justified before God be our own, our own personal righteousness, we are yet under the first covenant, and no other. It is quite inexplicable how McMahon could misread Owen so severely yet again. The very title of this section makes it clear that Owen is articulating a contrast, a difference between the Covenant of Works and the Covenant of Grace, not their similarity! Owen has absolutely no problem in stating that in every covenant made, there are conditions to be met. In the external administration of the Covenant of Grace, that which pertains to the New Covenant in the New Testament as well as its expression in the Old Testament, men must meet specific requirements in order to be saved. But they cannot. God must then “take up both sides.” This is why the Covenant of Redemption is so important in Owen’s overall view of Covenant Theology. Jesus Christ, as Mediator, places all the responsibility, in time, under the law, on Himself, for all those for whom He will live and die. Men, then, by virtue of Christ’s work, are graciously saved and regenerated. That does not mean that only the regenerate live and move in the Covenant of Grace. Abraham and his seed are covenanted with God. But it certainly means, by Owen’s own definition, that only the elect participate in the fruits of the Covenant of Redemption. …The Covenant of Grace is the sphere in which God works, handling both believers and unbelievers in that context upon condition of their obedience. The quotations McMahon provides in this section of his essay are all from Volume XI of Owen’s Works: “The Doctrine of the Saints’ Perseverance Explained and Confirmed” which was written in 1654. I have not read the work so I cannot comment on the accuracy of his quotes. …(3.) It is evident that there can be no condition previously required, unto our entering into or participation of the benefits of this covenant, antecedent unto the making of it with us. For none think there are any such with respect unto its original constitution; nor can there be so in respect of its making with us, or our entering into it. For, — [1.] This would render the covenant inferior in a way of grace unto that which God made with the people at Horeb. For he declares that there was not any thing in them that moved him either to make that covenant, or to take them into it with himself. Everywhere he asserts this to be an act of his mere grace and favor. Yea, he frequently declares, that he took them into covenant, not only without respect unto any thing of good in them, but although they were evil and stubborn. See Deuteronomy 7:7,8, 9:4, 5. [2.] It is contrary unto the nature, ends, and express properties of this covenant. For there is nothing that can be thought or supposed to be such a condition, but it is comprehended in the promise of the covenant itself; for all that God requireth in us is proposed as that which himself will effect by virtue of this covenant. …(5.) It is evident that the first grace of the covenant, or God’s putting his law in our hearts, can depend on no condition on our part. For whatever is antecedent thereunto, being only a work or act of corrupted nature, can be no condition whereon the dispensation of spiritual grace is superadded. And this is the great ground of them who absolutely deny the covenant of grace to be conditional; namely, that the first grace is absolutely promised, whereon and its exercise the whole of it doth depend. (6.) Unto a full and complete interest in all the promises of the covenant, faith on our part, from which evangelical repentance is inseparable, is required. But whereas these also are wrought in us by virtue of that promise and grace of the covenant which are absolute, it is a mere strife about words to contend whether they may be called conditions or no. Let it be granted on the one hand, that we cannot have an actual participation of the relative grace of this covenant in adoption and justification, without faith or believing; and on the other, that this faith is wrought in us, given unto us, bestowed upon us, by that grace of the covenant which depends on no condition in us as unto its discriminating administration, and I shall not concern myself what men will call it. …(9.) Although diaqh>kh, the word here used, may signify and be rightly rendered a “covenant,” in the same manner as tyriB] doth, yet that which is intended is properly a “testament,” or a “testamentary disposition” of good things. It is the will of God in and by Jesus Christ, his death and bloodshedding, to give freely unto us the whole inheritance of grace and glory. And under this notion the covenant hath no condition, nor are any such either expressed or intimated in this place. And so we see once again that Owen argues at length against the position McMahon attributes to him. This is the foundation of McMahon’s thesis, and it is shown to be faulty as well. Covenant of Grace Made with Non-Elect? In line with the previous point is McMahon’s contention that Owen taught the Covenant of Grace is made with both the elect and non-elect. This is seen to be false according to the previous quote from Owen regarding conditions in the New Covenant. …Part of the confusion here is due to the fact that many make the Covenant of Grace too restrictive. They do not allow for Owen’s “covenant” definition, and therefore concluded that the Covenant of Grace is something brand “new”, not a renewal of anything former, and made internally, without any external portions, only with the elect. …This is where Owen emphatically disagrees, even if only on the basis of the Covenant of Redemption, with those who would “simply” equate the Covenant of Grace with salvation; i.e. that the Covenant of Grace only contains inward and no outward expressions, or it only provides a context for the regenerate and not unbelievers. The covenant of grace in Christ is made only with the Israel of God, the church of the elect. For by the making of this covenant with any, the effectual communication of the grace of it to them is principally intended. Nor can that covenant be said to be made absolutely with any but those whose sins are pardoned by virtue of it, and in whose hearts the law of God is written; which are the express promises of it. And it was with respect to those of this sort among that people that the covenant was promised to be made with them. See Rom 9:27-33; 11:7. But in respect of the outward dispensation of the covenant, it is extended beyond the effectual communication of the grace of it. And in respect to that did the privilege of the carnal seed of Abraham lie. Abrahamic and New Covenant the Same? When we speak of the “new covenant,” we do not intend the covenant of grace absolutely, as though it were not before in existence and effect, before the introduction of that which is promised here. For it was always the same, substantially, from the beginning. It passed through the whole dispensation of times before the law, and under the law, of the same nature and effectiveness, unalterable, “everlasting, ordered in all things, and sure.” All who contend about these things, the Socinians only excepted, grant that the covenant of grace, considered absolutely, — that is, the promise of grace in and by Jesus Christ, —was the only way and means of salvation to the church, from the first entrance of sin. McMahon labored over this essay to warn Christians not to misread and therefore misrepresent Owen’s view of God’s covenants, and yet he has egregiously misread Owen himself. The irony would be quite humorous if the arrogant disdain from men like McMahon for baptists was not so aggravating. In conclusion, do not be intimidated and misled. Read the sources yourself. It is often the case through church history that people want to “own” the foremost theologians of the church in their system of theology; our day is no different… Owen, though he is dead, still needs to be rescued from those who obscure his theological views surrounding Covenant Theology… consideration should be taken to rightly exemplify Owen’s position in any theological writing on the covenants. These are precisely the two points of contention with WCF I have striven to work out and articulate on this blog. 1. Oneness of the church — Mistake of the Jews about the nature of the promises. 2. Promise of the Messiah the foundation of the church; but as including the covenant. 3. The church confined unto the person and posterity of Abraham — His call and separation for a double end. 4. Who properly the seed of Abraham. 5. Mistake of the Jews about the covenant. 6. Abraham the father of the faithful and heir of the world, on what account. 7. The church still the same. 1. THE Jews at the time of writing this Epistle (and their posterity in all succeeding generations follow their example and tradition) were not a little confirmed in their obstinacy and unbelief by a misapprehension of the true sense and nature of the promises of the Old Testament; for whereas they found many glorious promises made unto the church in the days of the Messiah, especially concerning the great access of the Gentiles unto it, they looked upon themselves, the posterity of Abraham, on the account of their being his children according to the flesh, as the first, proper, and indeed only subject of them; unto whom, in their accomplishment, others were to be proselyted and joined, the substance and foundation of the church remaining still with them. But the event answered not their expectation. Instead of inheriting all the promises merely upon their carnal interest and privilege, — which they looked for, and continue so to do unto this day, — they found that themselves must come in on a new account, to be sharers in them in common with others, or be rejected whilst those others were admitted unto the inheritance. This filled them with wrath and envy; which greatly to the strengthening of their unbelief. They could not bear with patience an intimation of letting out the vineyard to other husbandmen. With this principle and prejudice of theirs the apostle dealt directly in his Epistle to the Romans, chap. 9-11. On the same grounds he proceedeth with them in this Epistle; and because his answer to their objection from the promises lies at the foundation of many of his reasonings with them, the nature of it must be here previously explained. Not that I shall here enter into a consideration of the Jews argument to prove the Messiah not yet to be come, because the promises in their sense of them are not yet accomplished, which shall be fully removed in the close of these discourses; but only, as I said, open the nature in general of that answer which our apostle returns unto them, and builds his reasonings with them upon. 2. We shall have occasion afterwards at large to show how, after the entrance of sin, God founded his church in the promise of the Messiah given unto Adam. Now, though that promise was the supportment and encouragement of mankind to seek the Lord, — a promise, absolutely considered, proceeding from mere grace and mercy, — yet, as it was the foundation of the church, it included in it the nature of a covenant, virtually requiring a restipulation unto obedience in them who by faith come to have an interest therein. And this the nature of the thing itself required; for the promise was given unto this end and purpose, that men might have a new bottom and foundation of obedience, that of the first covenant being disannulled. Hence, in the following explications of the promise, this condition of obedience is expressly added. So upon its renewal unto Abraham, God required that he should “walk before him, and be upright.” This promise, then, as it hath the nature of a covenant, including the grace that God would show unto sinners in the Messiah, and the obedience that he required from them, was, from the first giving of it, the foundation of the church, and the whole worship of God therein. Unto this church, so founded and built on this covenant, and by the means thereof on the redeeming mediatory Seed promised therein, were all the following promises and the privileges exhibited in them given and annexed. Neither hath, or ever had, any individual person any spiritual right unto, or interest in, any of those promises or privileges, whatever his outward condition were, but only by virtue of his membership in the church built on the covenant, whereunto, as we said, they do all appertain. On this account the church before the days of Abraham, though scattered up and down in the world, and subject unto many changes in its worship by the addition of new revelations, was still but one and the same, because founded in the same covenant, and interested thereby in all the benefits or privileges that God had given or granted, or would do so at any time, unto his church. 4. Answerably unto this twofold end of the separation of Abraham, there was a double seed allotted unto him; — a seed according to the flesh, separated to the bringing forth of the Messiah according unto the flesh; and a seed according to the promise, that is, such as by faith should have interest in the promise, or all the elect of God. Not that these two seeds were always subjectively diverse, so that the seed separated to the bringing forth of the Messiah in the flesh should neither in whole nor in part be also the seed according to the promise; or, on the contrary, that the seed according to the promise should none of it be his seed after the flesh. Our apostle the contrary in the instances of Isaac and Jacob, with the “remnant” of Israel that shall be saved, Romans 9,10,11. But sometimes the same seed came under diverse considerations, being the seed of Abraham both according to the flesh and according to the promise; and sometimes the seed itself was diverse, those according to the flesh being not of the promise, and so on the contrary. Thus Isaac and Jacob were the seed of Abraham according unto the flesh, separated unto the brining forth of the Messiah after the flesh, because they were his carnal posterity; and they were also of the seed of the promise, because, by their own personal faith, they were interested in the covenant of Abraham their father. Multitudes afterwards were of the carnal seed of Abraham, and of the number of the people separated to bring forth the Messiah in the flesh, and yet were not of the seed according to the promise, nor interested in the spiritual blessings of the covenant; because they did not personally believe, as our apostle declares, chap. 4 of this epistle. And many, afterwards, who were not of the carnal seed of Abraham, nor interested in the privilege of bringing forth the Messiah in the flesh, were yet designed to be made his spiritual seed by faith; that in them he might become “heir of the world,” and all nations of the earth be blessed in him. Now, it is evident that it is the second privilege, or spiritual seed, wherein the church, to whom the promises are made, is founded, and whereof it doth consist, — namely, in them who by faith are interested in the covenant of Abraham, whether they be of the carnal seed or no. 5. And herein lay the great mistake of the Jews of old, wherein they are followed by their posterity unto this day. They thought no more was needful to interest them in the covenant of Abraham but that they were his seed according to the flesh; and they constantly pleaded the latter privilege as the ground and reason of the former. It is true, they were the children of Abraham according to the flesh: but on that account they can have no other privilege than Abraham had in the flesh himself; and this was, as we have showed, that he should he set apart as a special channel, through whose loins God would derive the promised Seed into the world. In like manner were they separated to be a peculiar people, as his posterity, from amongst whom He should be so brought forth. That this separation and privilege was to cease when the end of it was accomplished and the Messiah exhibited, the very nature of the thing declares; for to what purpose should it be continued when that was fully effected whereunto it was designed? But they would extend this privilege, and mix it with the other, contending that, because they were the children of Abraham according to the flesh, the whole blessing and covenant of Abraham belonged unto them. But as our Savior proved that in the latter sense they were the children of Abraham, because they did not the works of Abraham; so our apostle plainly demonstrates, Romans 4:9. 10. 11. Galatians 3:4., that those of them who had not the faith of Abraham had no interest in his blessing and covenant. Seeing, therefore, that their other privilege was come to an end, with all the carnal ordinances that attended it, by the actual coming of the Messiah, whereunto they were subservient, if they did not, by faith in the promised seed, attain an interest in this of the spiritual blessing, it is evident that they could on no account be considered as actual sharers in the covenant of God. 6. We have seen that Abraham, on the account of his faith, and not of his separation according to the flesh, was the father of all that believe, and heir of the world. And in the covenant made with him, as to that which concerns, not the bringing forth of the promised Seed according to the flesh, but as unto faith therein, and in the work of redemption to be performed thereby, lies the foundation of the church in all ages. Wheresoever this covenant is, and with whomsoever it is established, with them is the church; unto whom all the promises and privileges of the church do belong. Hence it was, that at the coming of the Messiah there was not one church taken away, and another set up in the room thereof; but the church continued the same, in those that were the children of Abraham according to the faith. The Christian church is not another church, but the very same that was before the coming of Christ, having the same faith with it, and interested in the same covenant. It is true, the former carnal privilege of Abraham and his posterity expiring, on the grounds before mentioned, the ordinances of worship which were suited thereunto did necessarily cease also. And this cast the Jews into great perplexities, and proved the last trial that God made of them; for whereas both these, — namely, the carnal and spiritual privileges of Abraham’s covenant, — had been carried on together in a mixed way for many generations, coming now to be separated, and a trial to be made (Malachi 3) who of the Jews had interest in both, who in one only, those who had only the carnal privilege, of being children of Abraham according to the flesh, contended for a share on that single account in the other also, — that is, in all the promises annexed unto the covenant. But the foundation of their plea was taken away, and the church, unto which the promises belong, remained with them that were heirs of Abraham’s faith only. (1.) The carnal privilege of the Jews, in their separation to bring forth the Messiah, then failed; and therewith their claim on that account to be the children of Abraham. (2.) The ordinances of worship suited unto that privilege expired and came to an end. (3.) New ordinances of worship were appointed, suited unto the new light and grace then granted unto the church. (4.) The Gentiles came in to the faith of Abraham together with the Jews, to be fellow-heirs with them in his blessing. But none of these, nor all of them together, made any such alteration in the church but that it was still one and the same. The olive-tree was the same, only some branches were broken off, and others planted in; the Jews fell, and the Gentiles came in their room. And this doth and must determine the difference between the Jews and Christians about the promises of the Old Testament. They are all made unto the church. No individual person hath any interest in them but by virtue of his membership therewith. This church is, and always was, one and the same. With whomsoever it remains, the promises are theirs; and that not by implication or analogy, but directly and properly. They belong as immediately, at this day, either to the Jews or Christians, as they did of old to any. The question is, With whom is this church, founded on the promised Seed in the covenant? This is Zion, Jerusalem, Israel, Jacob, the temple of God. The Jews plead that it is with them, because they are the children of Abraham according to the flesh. Christians tell them that their privilege on this account was of another nature, and ended with the coming of the Messiah; that the church unto whom all the promises belong are only those who are heirs of Abraham’s faith, believing as he did, and thereby interested in his covenant. Not as though the promise made to Abraham were of none effect; for as it was made good unto his carnal seed in the exhibition of the Messiah, so the spiritual privileges of it belonged only unto those of the Jews and Gentiles in whom God had graciously purposed to effect the faith of Abraham. Thus was and is the church, whereunto all the promises belong, still one and the same, namely, Abraham’s children according to the faith: and among those promises this is one, that God will be a God unto them and their seed for ever. Obs. II. It is of great concernment unto us what covenant we do belong unto, as being esteemed to do therein what is done by our representative in our name. — There were never absolutely any more than two covenants; wherein all persons indefinitely are concerned. The first was the covenant of works, made with Adam, and with all in him. And what he did as the head of that covenant, as our representative therein, is imputed unto us, as if we had done it, Romans 5:12. The other is that of grace, made originally with Christ, and through him with all the elect. And here lie the life and hope of our souls, — that what Christ did as the head of that covenant, as ourrepresentative, is all imputed unto us for righteousness and salvation. And certainly there is nothing of more importance unto us, than to know whether of these covenants we belong unto. We are also some way concerned in them by whom the one or the other of these covenant-states is conveyed unto us; for before we make our own personal, voluntary choice, we are by the law of our nature, and of the covenant itself, enclosed in the same condition with our progenitors as to their covenant-state. And thence it is, that in the severest temporal judgments, children not guilty of the actual transgression of their parents, not having sinned after the similitude of them, by imitation, do yet ofttimes partake of the punishment they have deserved; being esteemed in some manner to have done what they did, so far as they were included in the same covenant with them. And many blessings, on the other hand, are they partakers of who are included in the covenant of those parents who are interested in the covenant of grace; for such parents succeed in the room of Abraham, every one of them. And what Abraham did, as to the administration of the covenant intrusted with him, his posterity, whose representative he was therein, are said to have done in him, as Levi is in this place; and therefore they had the seal of the covenant given unto them in their infancy. And an alteration in this dispensation of grace hath not yet been proved by any, or scarce attempted so to be. It may make slightly more sense in writing, but probably not much. When I heard it, I figured Beck was talking about the Pilgrims and that he just misspoke under the hot sun. It wasn’t until I read this post: http://reformedbaptistfellowship.wordpress.com/2010/09/07/a-mormon-on-a-mission/ that I connected the dots and Beck’s statement suddenly made sense. 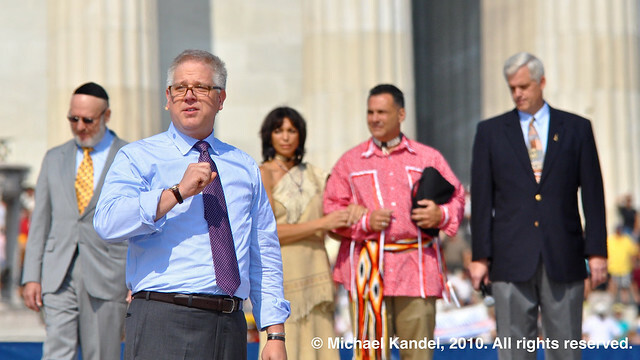 I guess I just didn’t think Beck was audacious enough to try to pull off a stunt like that at such a high profile rally. If you’re not sure what I’m talking about, watch this short video and then re-read Beck’s quote. Christians need to be discerning. Many are being led astray by the things of this world (politics) and are walking right into a false gospel. Our priority should be the clear proclamation of the gospel, not a political agenda. Which sword will you draw and which battle will you fight? 2) 2 Chron 7:14 is talking about the nation of Israel. The Mosaic Covenant contained numerous physical blessings and curses that depended upon Israel’s obedience. 7:13 specifically mentions one of these temporal, physical curses: drought, locust plague, and disease (compare Deut 28:18, 21, 24). But Christians are not part of the Mosaic Covenant. The nation of Israel, though established by God, was a kingdom of this world. We are citizens of a kingdom that is not of this world (Jn 18:36; 1 Pet 2:11). Therefore we cannot simply quote a verse about the Mosaic Covenant and apply it to America. There may be application, but it is not 1:1 the same. Republication is the idea that the Mosaic Covenant consisted of some form of works-inheritance. Just as Adam was required to work to remain in Eden and to earn his final rest, so Israel was required to work (obey the law) in order to remain in the Promised Land. Described in this way, republication is biblical. Israel had to work to remain in the land. Remaining in the land was not just a matter of faith. However, there are many who argue such a view is at odds with the Westminster Confession of Faith (see these Puritanboard threads Horton, the Mosaic Covenant, and the WCF and Republication: Covenant of Works Question as well as the Kerux Review of “The Law is Not of Faith” and Patrick Ramsey’s “In Defense of Moses”). In response, R. Scott Clark has argued that WCF 19.1, 2 necessarily teach republication. Finally, it has been argued by some (e.g., some of my friends on the Puritanboard) that the doctrine of re-publication is “unconfessional.” To this I appeal to the logic implied by the grammar of WCF 19.1 and 2. 19.1 which reasserts the doctrine of 7.2, that God “gave to Adam a Law, as a Covenant of Works, by which he bound him and all his posterity to personal, entire, exact, and perpetual obedience; promised life upon the fulfilling, and threatened death upon the breach of it: and endued him with power and ability to keep it.” 19.2 says, “This Law, after his fall…was delivered by God upon Mount Sinai, in ten commandments….” (Articles, 30–31). The phrase “covenant of works,” in 19.1, is appositive to the noun “Law.” Thus the “Law” is reckoned here as a covenant of works. Thus when, 19.2 establishes “This law” as the subject of the verb to be, “was delivered,” the antecedent of “this Law” can be none other than the “Law” defined as a covenant of works in 19.1. In sum, Clark argues that “this law” in 19.2 = “this covenant”. His argument is rather silly, as can be clearly seen by just reading 19.2 in full, including the part Clark omitted. This law, after his Fall, continued to be a perfect rule of righteousness; and, as such, was delivered by God upon mount Sinai in ten commandments, and written in two tables; the first four commandments containing our duty toward God, and the other six our duty to man. So R. Scott Clark fails to refute the criticism that his view is contrary to WCF. (And his careless argumentation is manifested in the fact that if his interpretation of WCF 19.2 is correct, only those who hold to republication are [WCF] confessional, which is abundantly false). Also, he appears to have adopted Kline’s conflation of law and covenant unaware that such a view is contrary to the confession (7.1) which distinguishes the law from the covenantal promise of life as reward (works principle). But what I find interesting is how 19.2 relates to the idea of republication (a works-inheritance principle in the Mosaic Covenant) in the Savoy and LBC. You can see many of my previous points on this issue (click the “covenants” category on the left), but in sum, Owen rejected the WCF’s formulation of the Mosaic Covenant. Owen said it operated on a works-inheritance principle and that it was separate from the Covenant of Grace (and also separate from the Covenant of Works made with Adam). Thus he changed Chapter 7 of the Savoy Declaration to reflect his view. 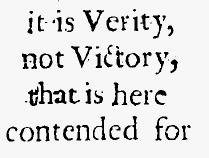 Nehemiah Coxe was most likely the editor of the 1689 LBC, and he explicitly stated that he agreed with Owen on this point (see “Covenant Theology: From Adam to Christ” from RBAP). Hence, the LBC modified Chapter 7 as well. This law, so written in the heart, continued to be a perfect rule of righteousness after the fall of man; and was delivered by God upon mount Sinai in ten commandments, and written in two tables; the four first commandments containing our duty towards God, and the other six our duty to man. The same law that was first written in the heart of man continued to be a perfect rule of righteousness after the fall, and was delivered by God upon Mount Sinai, in ten commandments, and written in two tables, the four first containing our duty towards God, and the other six, our duty to man. Notice what is missing from both: “as such”. Neither Savoy nor LBC necessarily teach that the 10 Commandments were given to Israel as a perfect rule of righteousness, in contrast to as a covenant of works. Thus Savoy and LBC leave open the possibility that the 10 commandments delivered as part of the Mosaic Covenant operated on a works-inheritance principle for the nation of Israel (i.e. republication), while WCF does not. Perhaps Dr. Clark should change his Confession of Faith? See also Samuel Renihan’s Formal and Material Republication in the Confessions of Faith.